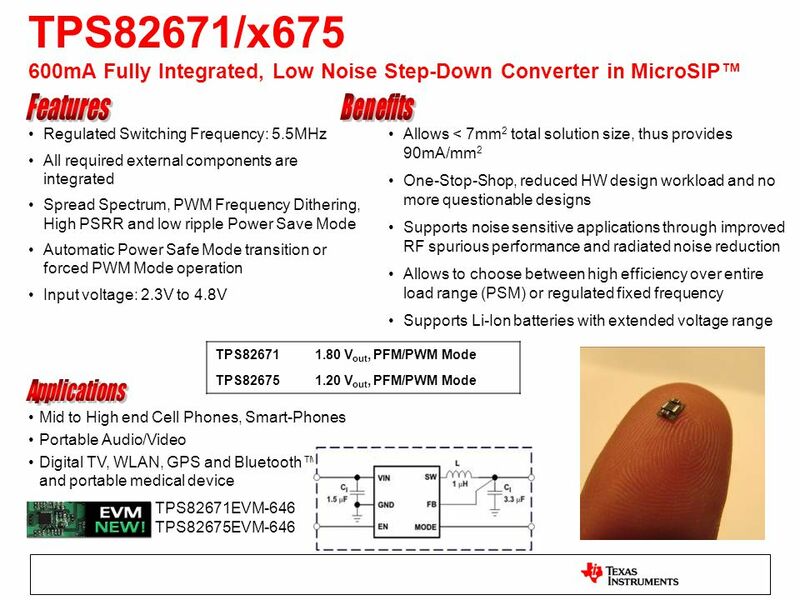 TPS82671/x675 600mA Fully Integrated, Low Noise Step-Down Converter in MicroSIP™ Mid to High end Cell Phones, Smart-Phones Portable Audio/Video Digital. 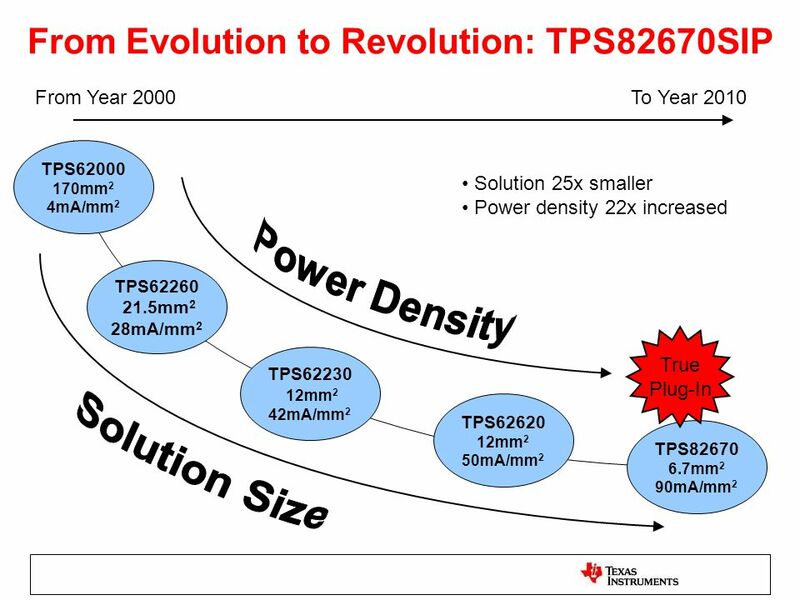 Download ppt "TPS82671/x675 600mA Fully Integrated, Low Noise Step-Down Converter in MicroSIP™ Mid to High end Cell Phones, Smart-Phones Portable Audio/Video Digital." S8200 Introduction Guide Field Application Team. Changing the way consumers and businesses improve their lives, for more than 35-years, through "Technologization"! 4-Channel Light Chaser. Powering CoolRunner™ -II CPLDs. Quick Start Training Agenda Regulator Overview – Linear vs. Switching – Linear Regulators – Switching Regulators CoolRunner-II. SIMPLY SMARTER ™ PATIENT MONITORING AND DIAGNOSTIC EQUIPMENT SOLUTIONS. 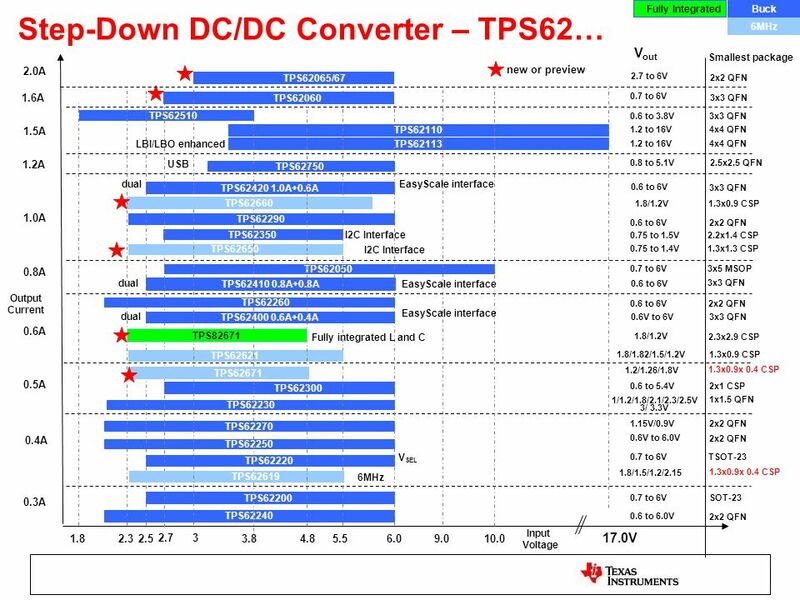 Extremely small footprint High performance and reliability Design flexibility –Easy to use SwitcherPro™ design tool TPS54620 6-A, 17-V SWIFT™ Converter.